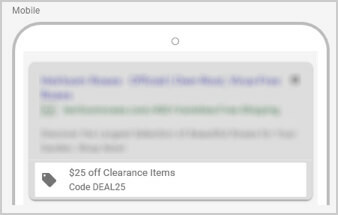 As AdWords slowly transitions advertisers into the new AdWords interface, they are dangling a couple of carrots to attract older advertisers who may feel more comfortable in the old interface. One of those carrots that’s proving to be very effective is the Promotion Extension. 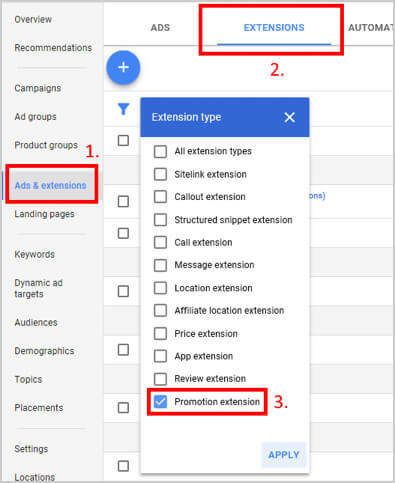 What Is The Promotion Extension? Now let’s get into how you can create one for your own account. As you can see, the extension is clickable and will take people directly to the Final URL you specified. Especially in competitive industries, this is a very attractive addition to you ads. But how effective? I prefer to let the numbers do the talking. This is a promotion that one of my ecommerce clients ran from March 7-11. The top row shows overall account performance and the bottom row shows the performance of ads when the Promotion Extension was displayed. You quickly see that the CTR is nearly 2X when the extension shows, the cost/conversion is lower and conversion rate is higher. However, keep in mind that promotions are inherently discount-oriented. You’ll also notice that revenue/conversion is lower for when our Promotion Extension was shown. 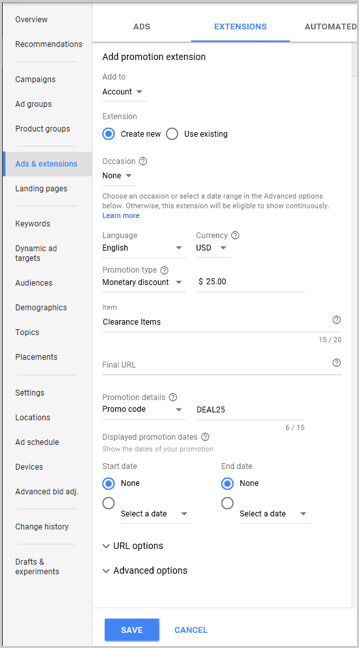 For advertisers that regularly run promotions this is a fantastic feature that is well worth a trip to the new AdWords interface. If you haven’t tried it yet, then I recommend testing it out for yourself.